In my younger days, I worked at a grocery store that had an in-house bakery. The biggest part of my job was making the doughnuts. 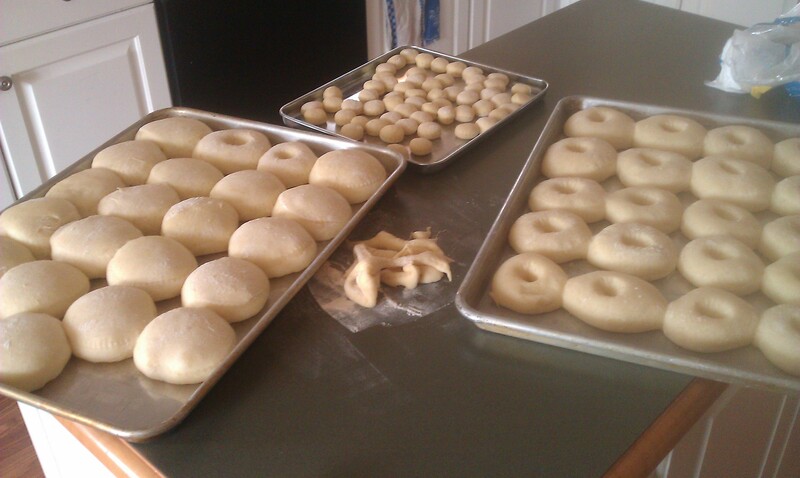 Having to start work at 3:30 am often found me muttering, “It’s time to make the doughnuts…..” Even though they were early hours, making doughnuts was a fun job. After I got the hang of it, turning doughnuts with sticks was a blast. It was not unlike playing drums with food–at least that’s how my imagination played out for me. My baking adventure this weekend was actually deep fried but who’s keeping track? It’s still a pastry, and you can bake them, but where’s the fun in that? I’ve never understood the fascination with Krispy Kremes. Sure, I tried them once, fresh off the conveyor, but I just don’t think they’re “all that”. 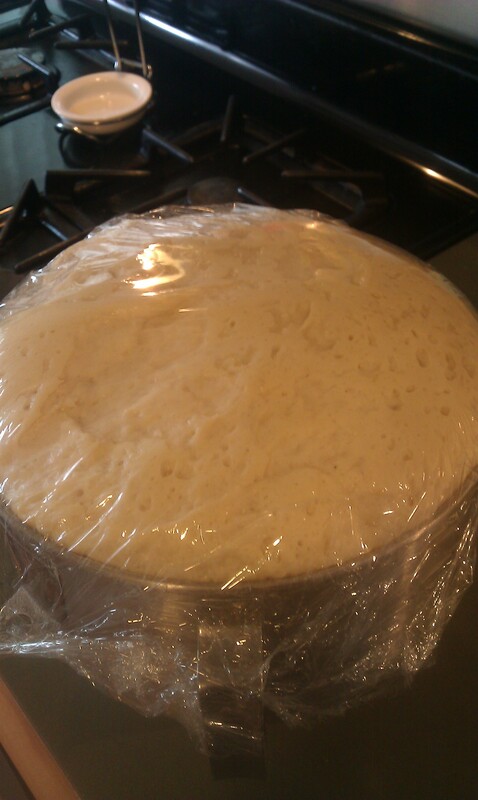 With that as my disclaimer, I found this recipe on Instructables and decided to use it for the actual doughnut dough. 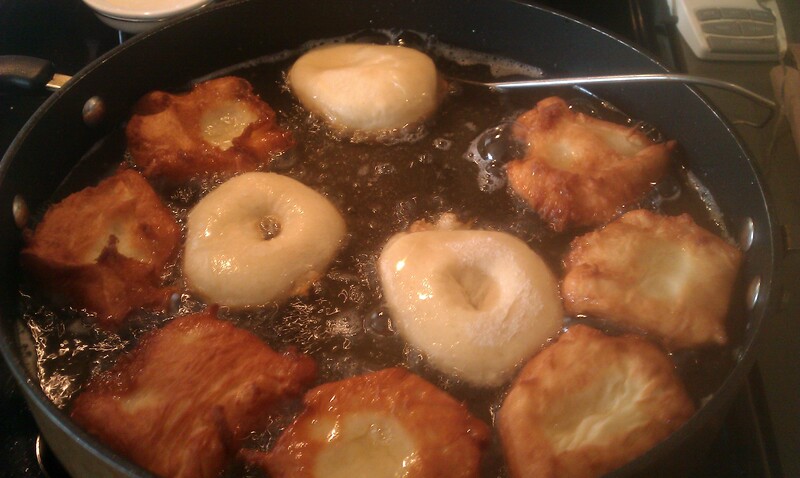 This recipe was really simple to follow and everything went according to plan until I pulled the formed doughnuts out to fry them. 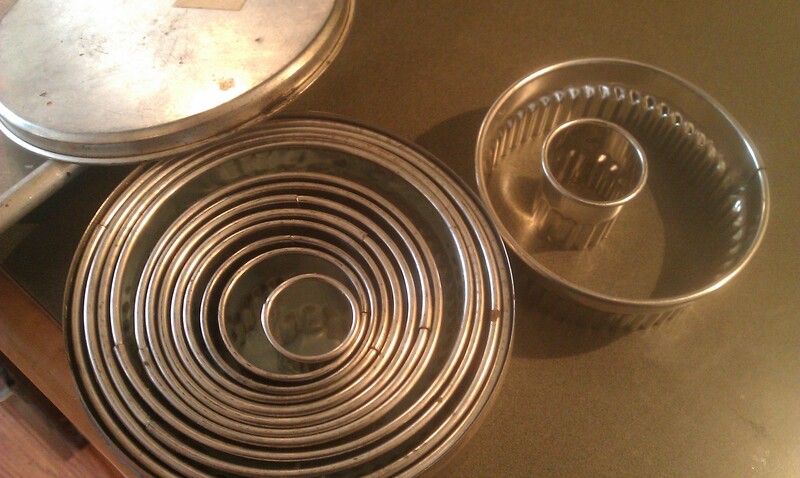 I should have dusted the pans more liberally than I did because they stuck and flattened when I tried to pick them up. Oh well. Live and learn, right? 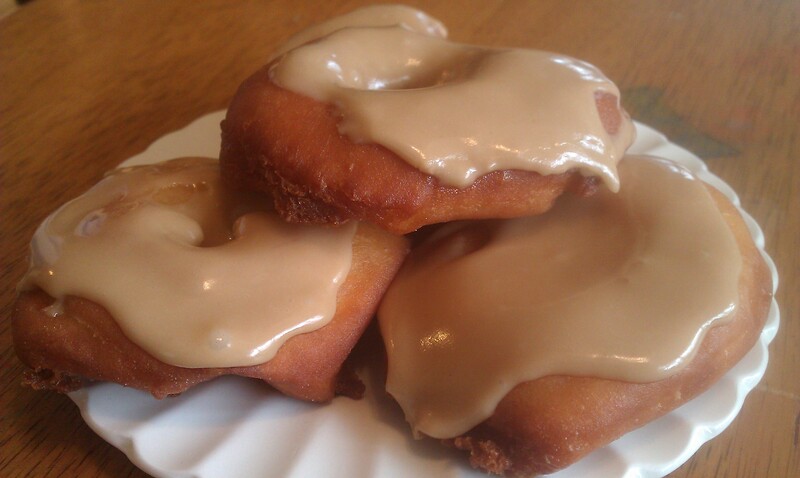 Mix sugar, corn syrup, maple cream, 1/4 cup maple syrup and salt into mixer. Mix well, 15 to 20 minutes. Add more maple syrup as needed to get desired consistency. It works well to be able to spread this frosting on the doughnut, rather than dip into. I did cook off a pound of Bacon but didn’t think fast enough to put the crumbs on immediately upon frosting the doughnuts. The glaze dried quick and the Bacon wouldn’t stick. Solution: Doughnuts with a Bacon chaser. Everybody wins! Turned out and ready to roll. Gone for a swim in the bubbly oil. 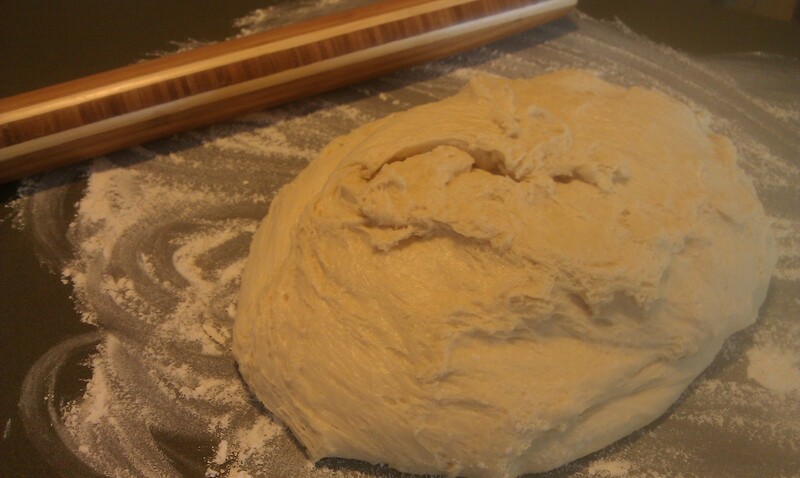 This entry was posted in baking, food and tagged food.